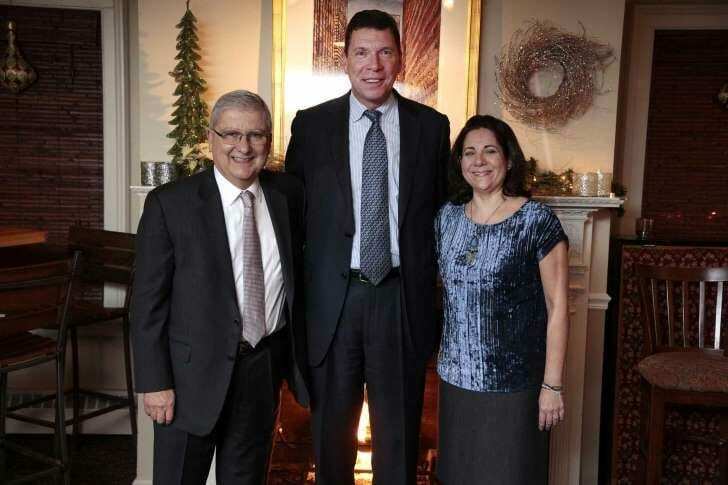 © Contributed Photo / Hearst Connecticut Media Dr. Robert Bedoukian, left, Western Connecticut Health Network President and CEO, Dr. John Murphy and Joann Petrini, PhD and the recipient of the new Bedoukian Endowed Chair in Innovation and Research. President of Bedoukian Research, Robert Bedoukian, Ph.D., was honored on Monday, December 11th, 2017 for his generous contribution towards the establishment of Bedoukian Endowed Chair in Innovation and Research within the Western Connecticut Health Network. His substantial seven-figure contribution will encourage the advancement of WCHN’s “deeply held philosophy that learning, teaching, continuing education, and pioneering research are all vital to understanding the complexities of healthcare.” To learn more, please click here.